Looking to protect your family from the health risks associated with dust and stains? It’s highly recommended to count on professional steam carpet cleaning a minimum of every 12 months. You should rely on Mr Clean Carpet Cleaning. Our quality of service and pricing are unmatched and we’ll quote you an accurate price right up front. 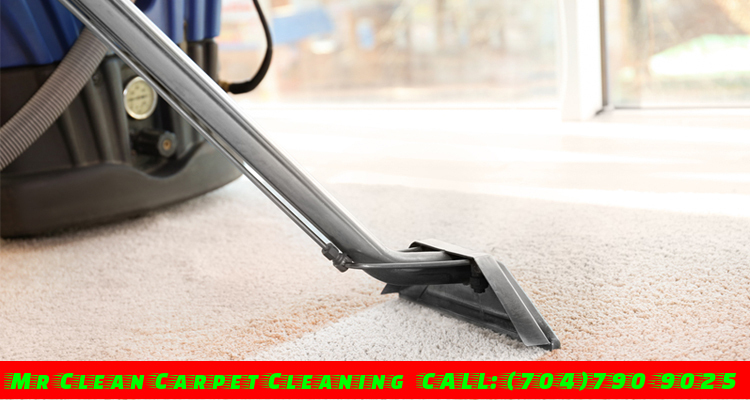 We are well-known for residential steam carpet cleaning in Matthews, NC. Mr Clean Carpet Cleaning has the top carpet cleaners with extensive years of experience and knowledge for how to care for your carpet surfaces very well. With impressive expertise and state-of-the-art tools, our professional cleaners arrive promptly and ready for work the second we enter through your door. We are equipped with industry-grade techniques and cleaning supplies that we use on a daily basis. This means we always have what we require and we’ll never leave a job early or unfinished. Mr Clean Carpet Cleaning is determined to clean the depths of your carpets to ensure every inch of debris, dust, and dirt has been removed from your floors and carpets. Do you want to keep your employees and customers happy? Take advantage of state-of-the-art commercial steam carpet cleaning in Matthews, NC by Mr Clean Carpet Cleaning. Carpeting is an important investment that can last for many decades if taken care of perfectly. Without regular vacuuming and annual professional cleaning, dirt particles can settle deep into your carpet fibers. Thorough carpet cleaning will flush the dirt and soil particles before they can do permanent damage to the fibers. Our commercial steam carpet cleaning in Matthews, NC extracts the dirt particles immediately. This method is ideal for cleaning heavily-soiled carpet floors moderately. Our professional technicians are certified and have the right equipment to handle any job conveniently. We at Mr Clean Carpet Cleaning provide unmatched quality and pricing on every job we require. For immediate help with commercial steam carpet cleaning in Matthews, NC, please Get in touch with us as soon as possible!